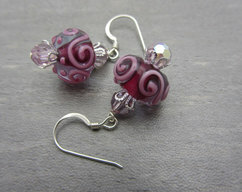 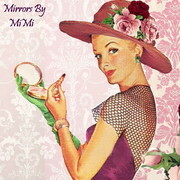 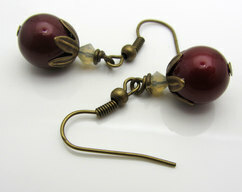 These earrings were made using pink blown glass beads. 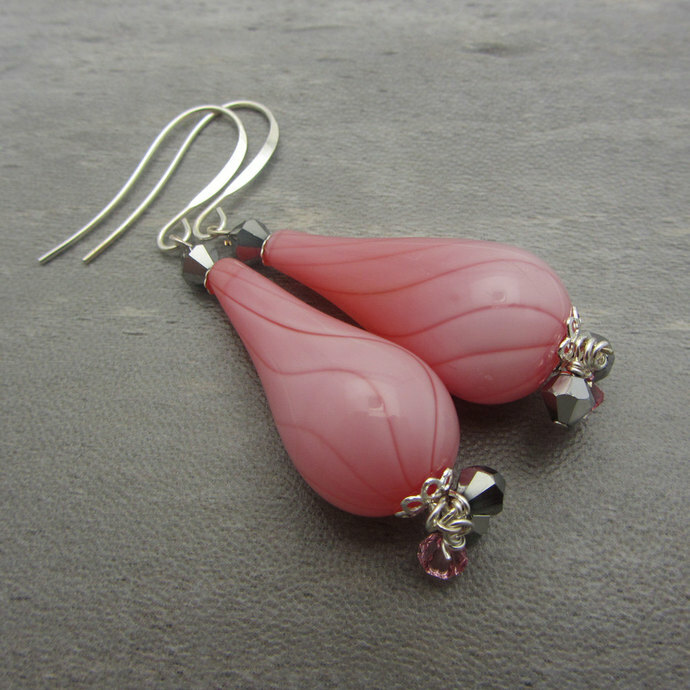 They are hollow with a darker pink swirl. 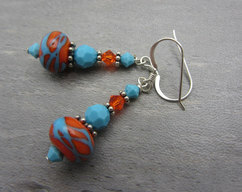 They are accented with swarovski crystal and silver findings. 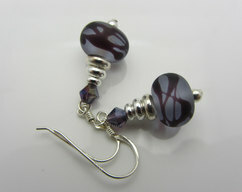 They measure approximately 2 1/2 inches from the top of the sterling silver earwire to the bottom of the crystals.